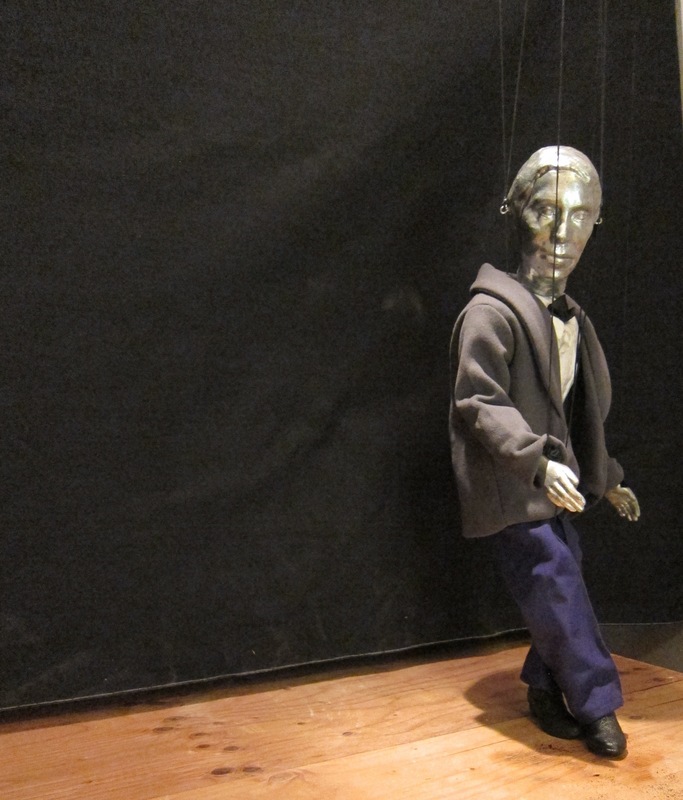 Motor driven marionette 24” high, 2 hour recording, circular stage, spotlight. Jim Ballard, vocals; Roger Welch, drums; Bill Beckley, guitar/vocals; Christa Maiwald, vocals; John Shole, lead guitar; Diego Cortez, electric organ; Connie Beckley, vocals; Dennis Oppenheim, lyrics. Recorded at Angel Sound, N.Y.C. A motor-driven marionette from Dennis Oppenheim’s 1974 Theme for a Major Hit, waltzes to the artist’s original sound piece, "It ain't what you make, it's what makes you do it," in the Clocktower Gallery entrance. With a facsimile of Oppenheim's face and a preternatural ability to keep the beat, this seductive yet confounding piece exemplifies a key phase in the artist's body of work.